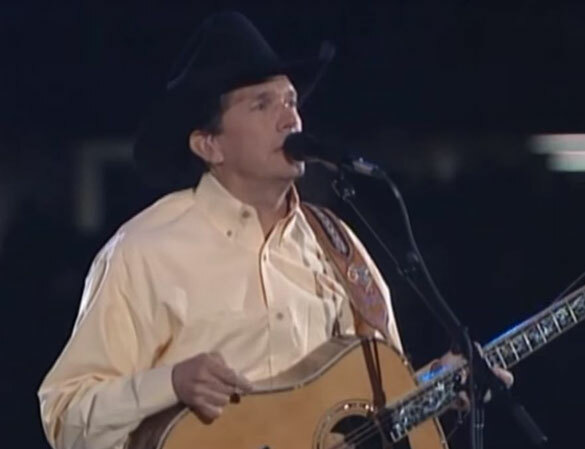 George Strait performs "The Cowboy Rides Away". "The Cowboy Rides Away" is a song written by Sonny Throckmorton and Casey Kelly, and recorded by George Strait. It was released in January 1985 as the second single from his album Does Fort Worth Ever Cross Your Mind. It peaked at number 5 on the United States Billboard Hot Country Singles chart, and at number 3 on the RPM Country Tracks chart in Canada. It is the song used by Strait to close out his performances.